An Emmy award-winning KARE 11 investigation exposed how the VA was using unqualified doctors and inadequate tests to improperly deny veterans benefits and access to promised medical care prompting new exams for veterans nationwide. EDITOR'S NOTE: This special report originally aired in December of 2016. 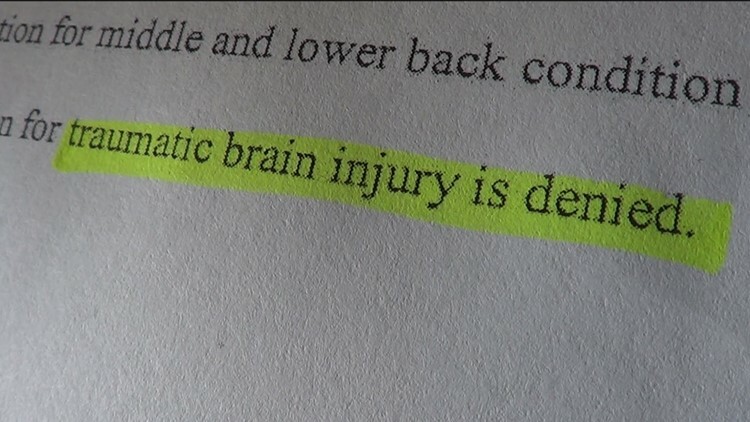 Thousands of veterans nationwide are getting new Traumatic Brain Injury exams after a KARE 11 investigation revealed the VA had been using unqualified doctors to diagnose them. Anderson was recounting an explosion during the early morning hours of August 1, 2008 in Central Afghanistan. He was behind the wheel of a Humvee when it drove over a landmine. 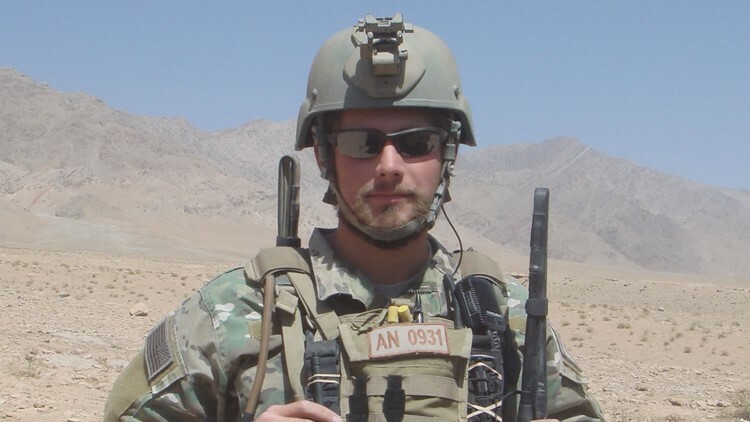 Nate Anderson was a Staff Sergeant and member of the Green Beret serving in central Afghanistan when he suffered a TBI caused by an improvised explosive device (IED). Photographs taken of the scene and provided to KARE 11 by Anderson show a mangled, blood spattered vehicle lying in wreckage. “I woke up, kind of came to, shook the fog a little bit, and the first thing I remember was dust everywhere. Couldn’t see anything else and I noticed somebody on our hood, he was bleeding significantly from his legs,” Anderson recalled. 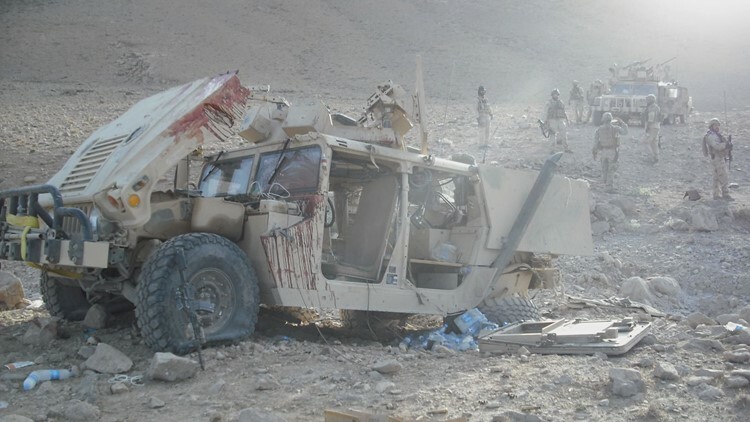 The badly wounded man was his Special Forces team’s Airforce Combat Controller, who had been riding in the back of the vehicle directly over where the IED exploded, according to Anderson. That man was airlifted out and lost both legs. The rest of the team loaded into other vehicles and continued their mission. “If you could walk and you could answer questions you were ok,” Anderson said. It wasn’t until months later, when Anderson returned home to Minnesota, that he acknowledged he was not ok.
“Um, what could it be?” he says he asked. He was given a traumatic brain injury - or TBI - exam in the Minneapolis VA’s Compensation and Pension department. “The answer they gave me was, no, you don’t have a traumatic brain injury. They told me I was physically fine that it could be related to stress you experienced. You could be experiencing some post traumatic issues,” he recalls the doctors telling him. His intial traumatic brain injury exam said Nate Anderson did not have a TBI, a finding that turned out to be wrong. Anderson’s is not an isolated story. In fact, there’s evidence he’s part of a disturbing pattern of veterans being systematically denied a TBI diagnosis and benefits. The Veterans Administration has been using unqualified medical personnel to do examinations – and deny benefits – for traumatic brain injuries at VA Medical Centers nationwide, according to records obtained during a two-year KARE 11 News investigation. Instead of being examined by a specialist, records reveal nearly 25,000 cases in which veterans were denied TBI benefits based on examinations by doctors who, according to the VA’s own policy, were not qualified to diagnose traumatic brain injuries. KARE 11’s investigation first exposed the problem at the Minneapolis VA Medical Center in 2015. Records obtained through the Freedom of Information Act revealed that the Minnesota facility had used unqualified staffers from 2010 through 2014 to conduct initial TBI examinations for Compensation and Pension (C&P) benefits, in violation of Department of Veterans Affairs policy. After KARE 11 started asking questions the Minneapolis VA began sending letters out to hundreds of area veterans informing them they were entitled to new examinations. Butch Hamersma of Spring Valley, Minnesota is one of the veterans called back for a new evaluation. 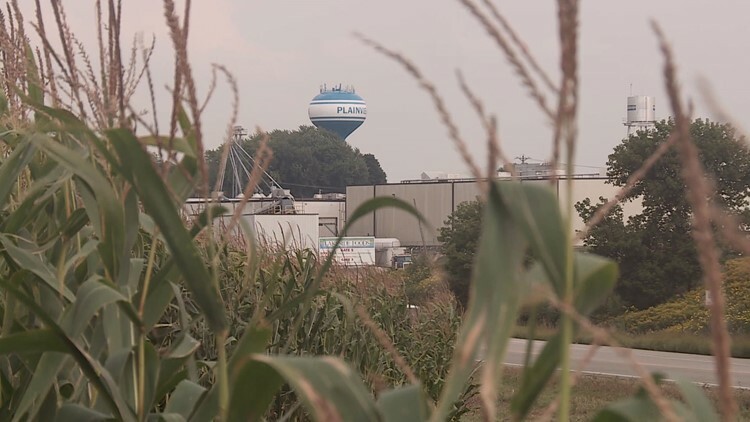 The 67-year-old Minnesota farmer agreed to share his medical files with KARE 11. Butch Hamersma of Spring Valley, Minnesota is one of the veterans called back for a new TBI evaluation. 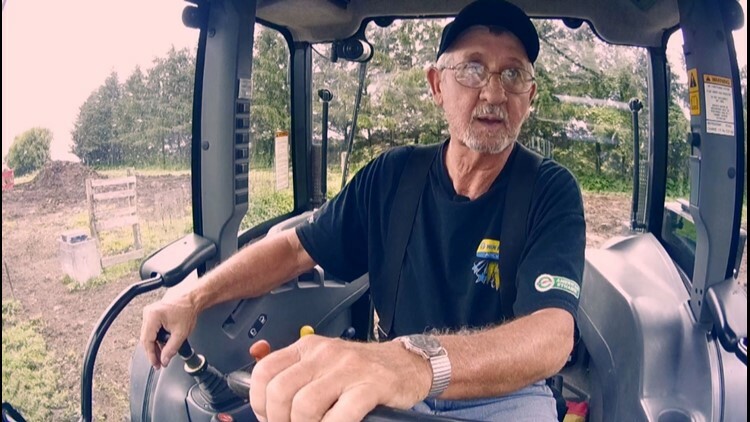 The 67-year-old Minnesota farmer was injured by a land mine while serving in Viet Nam. Records show the Vietnam veteran suffered serious injuries, including a skull fracture, in an explosion near Chu Lai in November, 1968. Hamersma’s military records detail the price his body paid for his service. He was evacuated to a field hospital in Vietnam with multiple fractures and a tracheostomy tube to keep him breathing. From there records show he was airlifted to a hospital in Tokyo. He was later returned to the United States for reconstructive surgery. 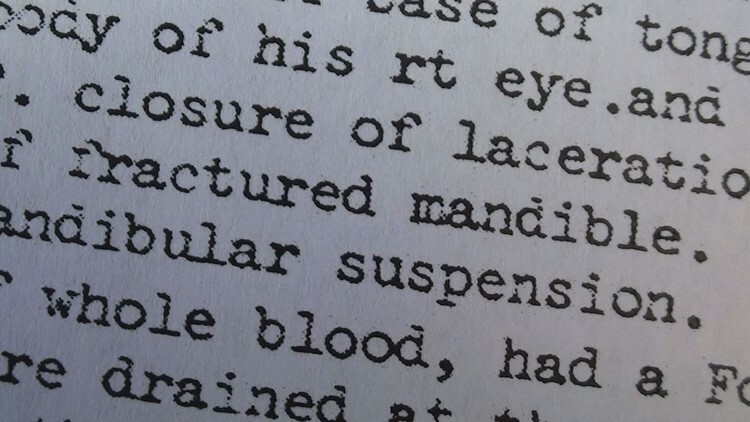 The report on Butch Hamersma's injuries documented skull fractures and fractured mandible. &ldquo;Took all my bottom teeth, busted my jaw in 2 places,&rdquo; Hamersma told KARE 11's A. J. Lagoe. “I don’t remember hearing nothing. Nothing. Lights they were gone,” he said about the explosion. “You said the lights went out and the next thing you know you’re in Japan?” Lagoe asked. Pointing to the right side of his face he said, “This was just like a crushed egg.” Call it farmer humor, but Hamersma jokes there are still pieces of his head fertilizing Vietnam. In spite of records documenting his severe head injuries, Butch Hamersma didn't receive any benefits for a traumatic brain injury. Back then, Hamersma was not diagnosed with what we now call a traumatic brain injury or TBI. For years, though, he says he has suffered unexplained chronic headaches. 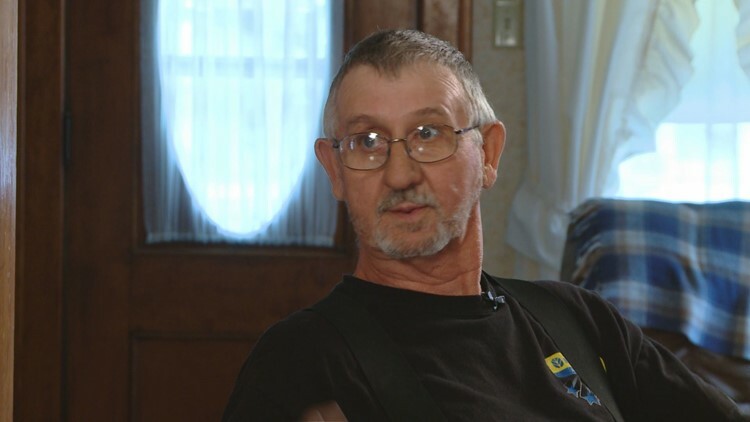 In 2012, after losing private insurance, he applied for benefits at the Minneapolis VA.
Records show the VA’s Compensation and Pension review gave him disability ratings of 10% for a series of service connected injuries including his broken jaw, ringing ears, and facial scars. “This one here is a pretty good one,” Hamersma said, pointing to a large scar still crossing under his jaw. KARE 11’s investigation turned up evidence that Hamersma did not get a fair shot at benefits because he was not examined by a qualified specialist. Who is qualified to do TBI exams? In the years since Vietnam medical experts have learned much more about the often invisible, but debilitating impact of brain injuries. Veterans Administration (VA) rules have stated since 2008 that highly trained doctors in one of only four specialties – including neurosurgeons and neurologists – can do the initial examination to diagnose whether a veteran suffers from a TBI. Veterans Administration rules have stated since 2008 that highly trained doctors in one of only four specialties &ndash; including neurosurgeons and neurologists &ndash; can do the initial examination to diagnose whether a veteran suffers from a TBI. So who conducted Butch Hamersa’s initial TBI exam? “It was a nurse practitioner,” he recalls. He’s right. Hamersma’s VA records confirm that his TBI exam was done by Brenda Roche. She’s listed as a nurse practitioner – not a neurologist. But KARE 11’s investigation found all too often that was not the case. Nate Anderson’s VA records show he, too, was denied TBI benefits. But Anderson says not just benefits. “If you don’t have a diagnosis, then you’re not getting treatment for that condition,” he said. When his problems persisted, Anderson paid out of pocket to see a brain injury specialist at Hennepin County Medical Center. “It was worth it to me to find an answer,” he said. Records from HCMC show he was diagnosed there as having residuals of traumatic brain injury suffered in the blast in Afghanistan. “The doctor there after hearing my story, after examining my symptoms and doing a few tests, they told me pretty plainly that what I was experiencing was in line with a mild traumatic brain injury,” Anderson recalled. “There’s no excuse,” says Twin Cities’ veteran’s rights attorney Ben Krause. “The VA has absolutely no excuse.” Krause said the same thing that happened to Anderson, happened to one of his clients. Records detail the veteran involved suffered a concussion in 1958 on the USS Yorktown when a heavy metal hatch smashed into his head and knocked him out. Years later, when the veteran developed a brain tumor, VA Neurologist Khalaf Bushara concluded the old head injury “likely caused inflammation in the brain and the meningioma.” He wrote the tumor, “at least as likely as not” was “caused by the inflammation caused by the traumatic brain injury” he suffered on the Yorktown. But when the veteran applied for TBI benefits, he was given a TBI exam by Dr. Danny Smith. Records show Smith is an osteopath, not an approved specialist. Dr. Smith concluded the veteran did not have a TBI. When Krause filed an appeal, records show the VA agreed that Dr. Smith was “not qualified” to have done the TBI examination. So, they agreed to order another one. 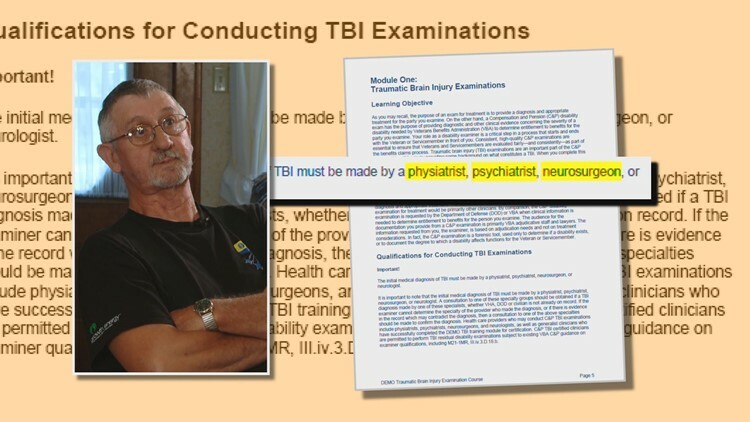 This time the test was performed by Dr. Ephraim Gabriel who the VA claimed was a “qualified TBI examiner.” Gabriel also found “no current clinical diagnosis of TBI.” Attorney Krause soon discovered that Dr. Gabriel was not qualified to diagnosis TBI’s either. He is not one of the four specialists required by VA policy. “And they had him conduct the exam anyway and drag my client through the dirt,” Krause told KARE 11. “Dr. Smith and Dr. Gabriel should never have conducted the initial TBI exam for my client,” says Krause. After another appeal, records show the Minneapolis VA finally had a qualified doctor examine the veteran. That doctor agreed with Bushara's opnion that there was a TBI. Now that veteran receives more than $1,400 a month in VA benefits. “Had he just gone away he would have been shy a thousand dollars a month for the rest of his life,” says Krause. After hearing that story, KARE 11 News wanted to know how many veterans were being denied proper TBI exams. Using the Freedom of Information Act KARE 11 obtained records that revealed out of the 21 medical professionals who performed initial TBI exams at the Minneapolis VA since 2010, only one of them was a TBI specialist. Despite the admission, the VA refused to say just how many improper exams had been done. To help determine whether the problem was widespread, KARE 11 and other TEGNA-owned television stations across the county filed Freedom of Information Act (FOIA) requests asking for the names of doctors who had performed initial TBI exams and what their specialties were. Although officials had originally released the names of doctors who had performed exams in Minneapolis, the VA suddenly refused to release the same information elsewhere. In a series of FOIA denial letters the VA claimed the names were private information that won’t “contribute significantly to the public’s understanding of the activities of the federal government.” The Department denied our FOIA requests even though it posts the names and certifications of every VA doctor, at every VA hospital, anywhere in America on its very own website. What’s more, as federal employees, every dollar they are paid, including bonuses, is already public information. What was not disclosed, is which doctors performed the TBI exams. At first the Minneapolis VA tried to minimize the problem. In a letter notifying some veterans they were entitled to new exams, the VA stated a “small number of initial TBI exams” were not performed by the required specialists. But records would eventually show the "small number" claim was not true. Buried in thousands of pages of records, the VA was eventually forced to release was an internal email written months before that letter to veterans. It revealed Minneapolis VA management already knew that of the 568 veterans to receive initial TBI exams between 2010 and 2014, 60% of them did not see one of the required specialists. How wide-spread is the issue? 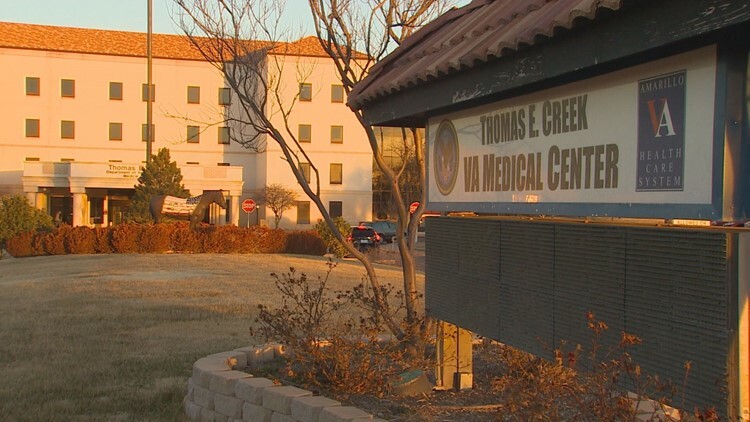 KARE 11 traveled to the wind swept plains of the Texas panhandle to meet a whistleblower at the VA hospital in Amarillo, Texas. Walz demanded an official nationwide investigation of TBI claims. “If it happened in Minneapolis it's possible, and I would argue probable, it happened elsewhere," he told KARE 11. 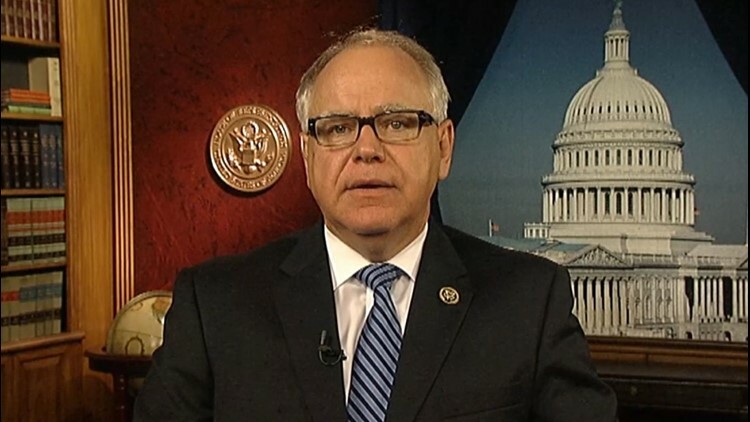 &ldquo;If it happened in Minneapolis it's possible, and I would argue probable, it happened elsewhere," Congressman Tim Walz told KARE 11 about the unqualified TBI exams on veterans. Marokus is a retired Army Colonel, with two tours of Iraq under his belt. At the time, he was Chief of the Amarillo VA’s Compensation and Pension Unit. He said he’d seen KARE 11’s reports and could not stay quiet when he saw emails showing that before he started in May 2015, unqualified doctors had diagnosed 70 veterans in Amarillo as well. Because of patient privacy rules, Marokus did not reveal the names of individual veterans or the details of their cases, but shared the emails he’d discovered with KARE 11. 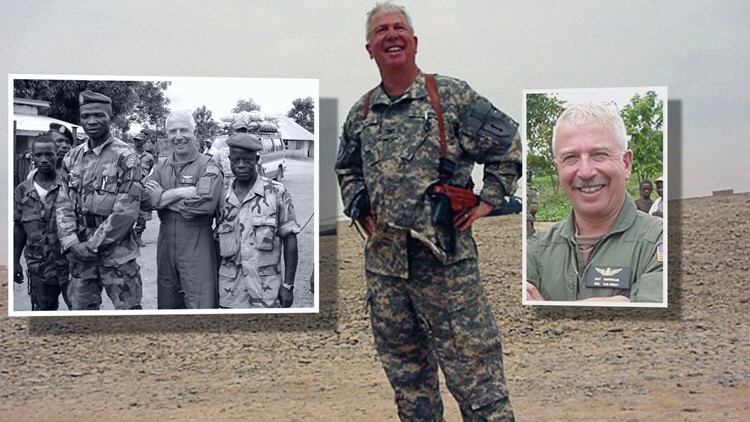 Dr. Roy Marokus is a retired Army Colonel, with two tours of Iraq under his belt. Marokus says he could not stay quiet after seeing emails showing that unqualified doctors were performing TBI exams. “If it’s in Minneapolis, if it’s in Amarillo, where else is it?” Marokus asked. When KARE 11 took that question to Department of Veterans Affairs Secretary Robert McDonald, he vowed to get the problem solved. “We’re going through it with a fine tooth comb nationally to make sure we get all those veterans in and we get them what they deserve,” Secretary McDonald told Investigative Reporter A.J. Lagoe in April, 2016. While the VA conducted a nationwide internal review, Minnesota veterans finally began receiving treatment for traumatic brain injuries which had been misdiagnosed earlier. Navy veteran Anton Welke suffered a head injury while serving on the USS John C. Stennis in 2002. One of them is Navy veteran Anton Welke, who suffered a head injury while serving on the USS John C. Stennis in 2002. The new exam resulted in help for a veteran who points proudly to the tradition of service that seems to run in his family’s blood. 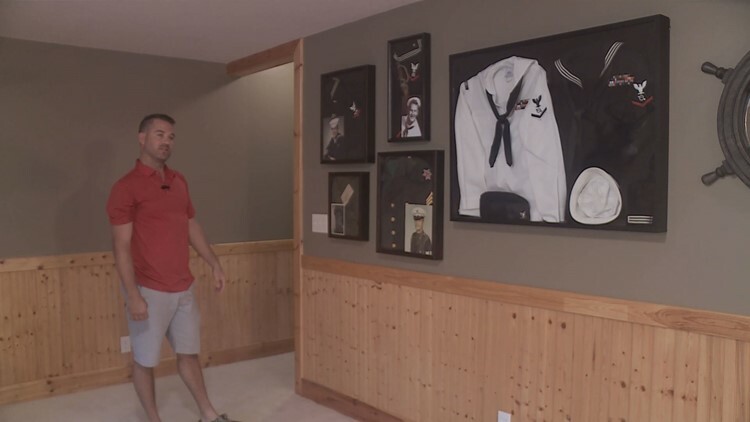 “Grandpa Laverne, he was in World War II,” Anton said, pointing to photos and framed uniforms on the wall of his Plainview, Minnesota home. Despite his problems with the VA, Anton Welke points proudly to the tradition of service that seems to run in his family's blood. “This one is my dad he was in the Army,” he said. “He was in Vietnam. And right here’s mine,” he said, pointing to his uniform. Anton served on the flight deck aboard the USS John C. Stennis in the run-up to the Iraq War. “I think it’s everyone’s duty, they should do it,” he said. “That’s why I did it.” But that service very nearly cost him his marriage to wife Christina – and much more. 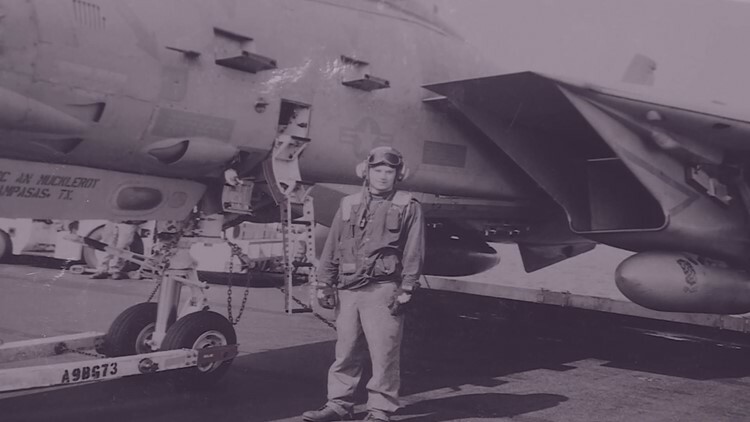 His service to country and the brain injury that came with it very nearly cost Anton Welke his marriage to wife Christina &ndash; and much more. “I’m like we’re not going to make it, this is not working,” Christina recalled. “Almost made me take my own life,” Anton said. Just what could spark a man who appears to have so much to live for to contemplate ending it all? The answer seems to be buried in the pages of his military records. 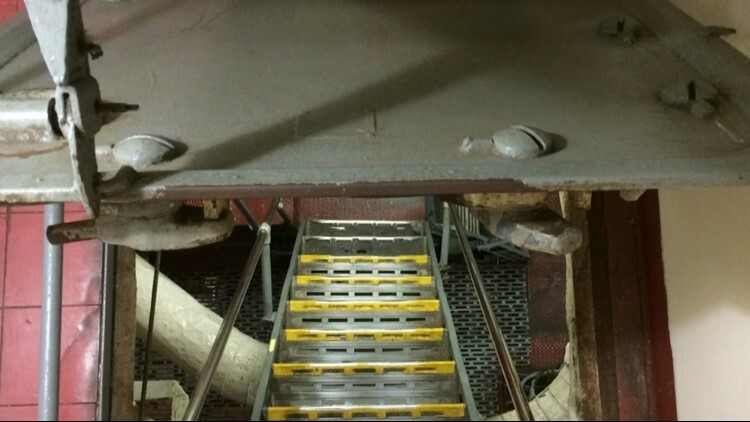 “April 6, 2002, running up ladder well, hit head on bulkhead,” the entry states. Anton remembers the night of April 6, 2002 when battle station alarms were sounded on-board the U.S.S. Stennis. That's when a heavy metal hatch slammed down on his head. His wife noticed the changes, too. “I started realizing the guy that I married, I wasn’t sure who was going to wake up every morning,” she said. After leaving the Navy, Anton Welke and Christina returned home to Plainview and started a family. But the once happy-go-lucky Anton seemed to be battling an ever-growing list of internal demons. Because of the old blow to the head detailed in his service records, Anton received a traumatic brain injury or TBI exam by a doctor in the Compensation and Pension Department at the Minneapolis VA. Records show Dr. Wanda Blaylark did not do any “neuropsychological testing” and did not diagnose a TBI. With no diagnosis, Anton was sent home with no TBI treatment. “It’s a big thing to sit and wonder in your head, am I nuts?” he said. 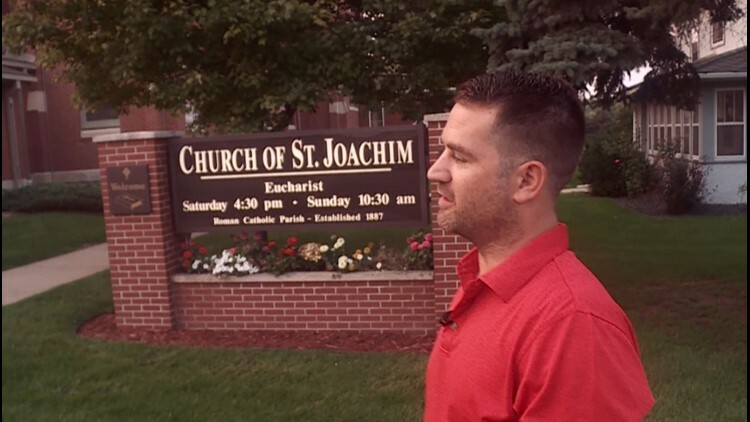 The veteran found himself at his church, spending hours on his knees, contemplating taking his life. Looking up - and inside himself - Anton says he found strength through faith and family. As he battled the symptoms of his head injury, Anton says he found strength through faith and family. “In our most intimate moments, he’s looked at me in the eyes and said 'I’m trying, I’m trying. Like I don’t want to lose you guys',” Christina recalls. “I knew I still had something to live for,” the father of two insists. But the question remained, why did he have these problems? Three years would pass, before the Welke’s got an answer. Records revealed that Dr. Blaylark, who did Anton’s original exam, is board certified in occupational medicine but is not a TBI specialist. So, Anton got a new exam, this time with a qualified doctor. “He actually did tests with me,” Anton said. “I wasn’t a number. Finally, I was actually getting care.” Care, and a new diagnosis. After a qualified TBI specialist stated &ldquo;without a doubt you have a traumatic brain injury,&rdquo; doors at the Minneapois VA that had been previously closed to Anton Welke were suddenly opened. That finding, by a qualified TBI specialist, threw open doors at the VA previously closed. Anton began receiving treatment and cognitive therapy in the Minneapolis VA’s Polytrauma Center, one of just five nationwide. “Now they got me set for classes to help my memory, to help me get some of the stuff back that I’ve lost,” Anton said. He also began receiving benefits payments retroactive to the date of his first botched exam. But Anton and his wife still wonder why the VA first used a doctor who wasn’t properly qualified to diagnosis his injuries. In effect, that denied him help he needed years ago. During the summer of 2016, the VA completed the internal review Secretary McDonald had promised. What they found was bigger than anyone expected. "I wish I wasn't here talking to you about this and that we had got it right the first time," said David McLenachen, the VA's Deputy Undersecretary for Disability Assistance, when he briefed KARE 11's A. J. Lagoe on the VA’s plan to recall thousands of veterans for new TBI exams. Lagoe: "The expectation was that they should initially see a TBI specialist?" asked Lagoe. McLenachen: "Yes, that was the expectation." Lagoe: "That didn't always happen?" To be exact, 24,905 veterans. That’s according to data obtained by KARE 11 through Freedom of Information requests. We requested records showing just how many improper exams were done at every VA facility in the country. The state-by-state accounting showed 1,059 veterans were impacted in Minnesota. North Carolina had the most with 2,992. Georgia and Washington State each had more than 2,000. Over the summer, the nearly 25,000 veterans in big cities and small towns across America began receiving letters notifying them they were the victims of what the VA now admits was an injustice. On July 12, 2016, Congress held a hearing about the VA’s initial failure to insure veterans were seeing qualified TBI specialists. During that hearing Congressman Tim Walz took time to praise KARE 11 for exposing the problem. “Last summer we starting to hear rumblings in MN that they weren’t getting the right exams. There was a tenacious young journalist named A.J. Lagoe that did some really fantastic journalism, some really fair reporting and work at the Minneapolis VA,” Walz told the House Veterans’ Affairs subcommittee. He then asked high-ranking VA officials how the TBI scandal came to be. “So my question is: What were they missing?” Walz asked. “We had a quality review process that perhaps one could say was a little light,” said the VA’s McLenachen. He acknowledged that when the VA reviewed TBI benefit decisions in the past, it did not always check whether the doctors doing the exams were specialists. “Without a doubt improvement is needed in that area,” he testified. McLenachen says the VA is now checking qualifications every time. “A 100 percent quality check,” he told the committee. VA officials also disclosed that nearly half of the Minnesota veterans who were originally denied TBI benefits, like Nate Anderson and Anton Welke, have now been told after re-examination that they did suffer a traumatic brain injury. The physician who chairs the subcommittee credited the VA for taking action to correct the problem, but added he still has questions about how it happened. “Before we hold hands on the beach and sing Kumbaya we need some accountability here,” said Chairman Ralph Abraham (R-LA). 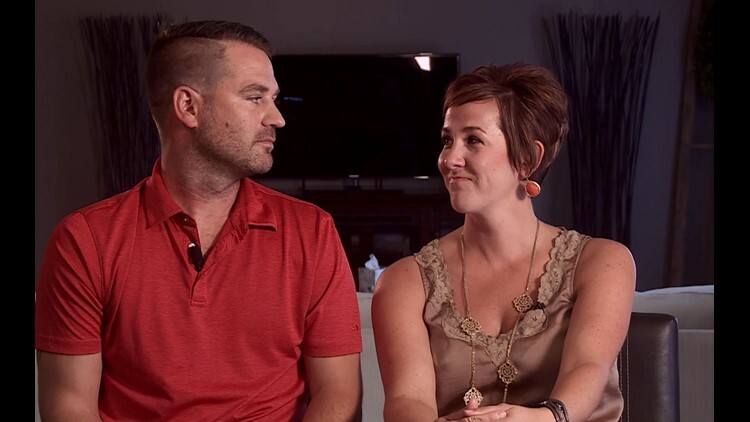 Re-testing is now underway for former service members nationwide, but veterans like Nate Anderson are still asking why it took years of waiting for the VA to acknowledge their invisible wounds. “Yeah, yeah, seven years for an answer is quite a while,” said Anderson. 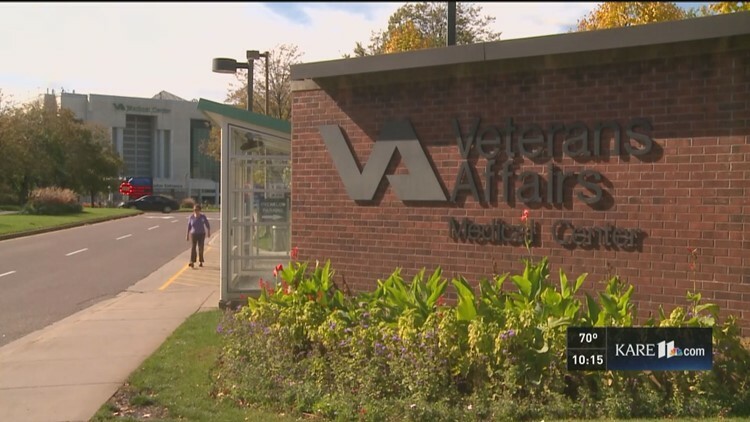 The VA’s Office of Inspector General tells KARE 11 it expects to have its national investigation, launched at the request of Congress, completed by February of 2017.